October War started on October 6, 1973 and lasted for nineteen days only. On the first day of the war Egypt and Syria launched a surprise attack on Israel. Egyptian army successfully crossed the Suez Canal. This operation culminated in the capture of the Bar Lev Line by Egyptian forces. Although Egyptian attack was successful, Israeli forces won the war, that ended on October 25, 1973. 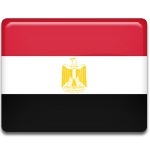 Nowadays October 6 is a commemorative day, that is a public holiday in Egypt. Celebration of this holiday typically includes military parades. Patriotic shows are broadcast and fireworks are launched in the evening. After assassination of President of Egypt Anwar Sadat in 1981 during the parade in Cairo, celebration of Armed Forces Day gained an additional meaning for Egyptians.